New York, N.Y. The Buddhist concept of reincarnation, while both mysterious and enchanting, is hard for most Westerners to grasp.A new film — from Israel — is out to change that. The film features the Dalai Lama. Unmistaken Child follows the search for a reincarnated Tibetan master. It opened in New York June 3 at the Film Forum. 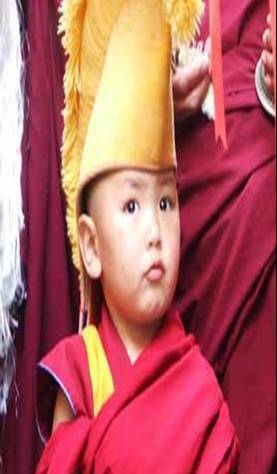 Unmistaken Child follows the four-year search for the reincarnation of Lama Konchog, a world-renowned Tibetan master who passed away in 2001 at age 84. Unmistaken Child: searching for a reincarnated Tibetan master.The Dalai Lama charges the deceased monk’s devoted disciple, Tenzin Zopa, to search for his master’s reincarnation. 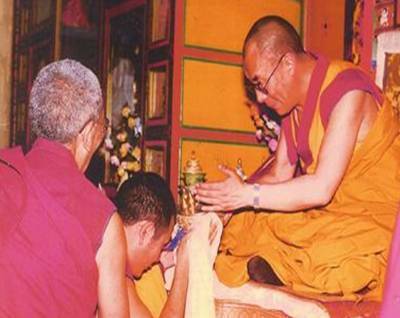 Tenzin had been in service to the Dalai Lama for 21 years – since the age of seven. The difficulty was that the child might be found anywhere in the world. Further, the child had to be found within four years — before it becomes too difficult to separate him from his parents. 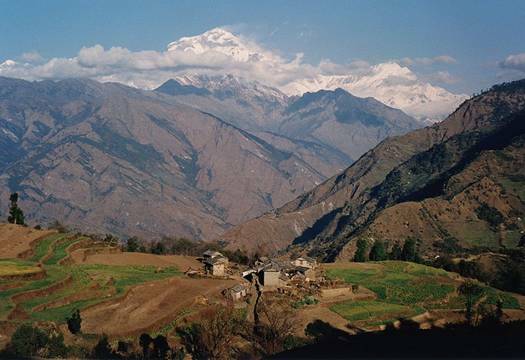 Tenzin sets off on foot, mule and even helicopter, through breathtaking landscapes and remote traditional villages. He listens to stories about children with special characteristics, performs rituals, and rarely-seen tests designed to determine the likelihood of reincarnation. The Dalai Lama makes the final decision: which boy? He eventually presents his chosen one to the Dalai Lama, who will make the final decision. Stunningly shot, Unmistaken Child is a beguiling, surprising, touching and even humorous experience. Observing rather than explaining ancient tradition, the film inspires as many questions as it answers. It is a fascinating insider’s perspective that captures the beauty in wild nature and elaborate Buddhist rites and rituals. The Dalai Lama must ultimately approve the real reincarnation.Tenzin speaks in good English about his tearfulness following the death of the Buddhist monk he followed, Geshe-La, and the challenge of searching for his reincarnation. Tenzin expresses doubt: “I am not Buddha.” He is concerned that as a mortal man, he may not be able to recognize Geshe-La’s reincarnation. 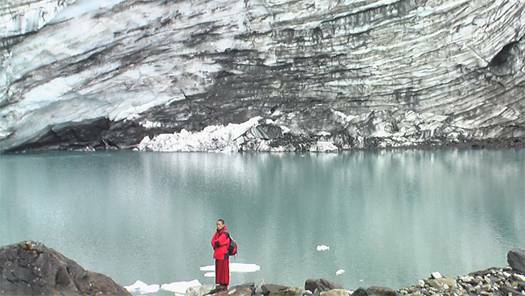 He travels from Nepal to the south of India, and then back to Nepal in his search. Tezin’s search for his master’s reincarnation takes him through Nepal.Tenzin discusses in the film how he had never thought for himself, but only followed his master. He admits to being completely lost once his master had died. I was able to interview its scriptwriter and filmmaker, Nati Baratz. As an Israeli filming a Tibetan film, Nati Baratz is both a thought leaders and global citizen. I asked him about the Israeli-Tibetan connection. The film follows Tenzin’s quest to find the boy who was his master.“As an Israeli, seeing the calm, non-violence Tibetan nature and struggle for independence, I was forced to redefine my innermost beliefs about happiness and conflict,” Nati told me. “I felt that the peaceful Tibetan struggle for independence must succeed to the benefit of the whole world, not to mention the middle east.” The film is in English, Tibetan, Nepalese, and Hindi with English subtitles. Originally published in The Huffington Post, June 9, 2009.